Chairs look like picture and are the quality I expected for the price. They feel strong and Skirted Collection finish looks nice. This is a good buy from Bassett Mirror if you're looking for an inexpensive set of chairs. 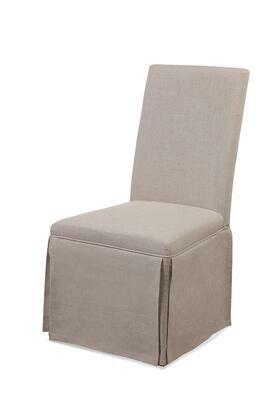 Â Â These chairs are every elegant with an incredible price. Made a modern update to a traditional dining room. End product is wonderful! I ordered 2 more, can't wait. Â Â These chairs are exactly what I was looking for, and fit perfectly under the counter. They're sturdy, and were easy to put together. The price was very reasonable. The delivery was faster than expected, thanks for an easy shopping experience. Â Â We have been trying to find a good looking "high end chair" on a conservative budget. We are so happy with this purchase and thrilled with the price! They look expensive and didnÂ’t blow our budget. You seriously canÂ’t beat these. Â Â Love these! Such a great price for a replica of an iconic chair. These chairs a great quality, and quite comfortable. They are a perfect mid-century modern addition to my kitchen. Â Â I ordered 6 chairs. All were perfect, all the legs were fine, no cracks. We really like these chairs. Numerous guests have told us that they are comfortable. They look really nice. Â Â Sturdy enough for the grandkids. As far as kitchens go, this one is a nice size. started out with 2 chairs to make sure they'd work and I can't wait to order another set of two. Â Â I have been wanting these chairs for so long, and now I have them. The chairs are very comfortable, and match the kitchen table I bought previously. And the chairs blend right in with the decor in my breakfast nook. They are sturdy and without blemish.